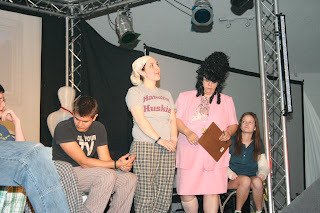 a few weeks ago I was in a drama for a youth retreat at my church. It was awesome. 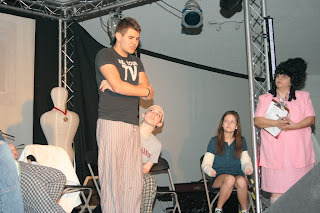 The play was called, "The Extra Mile," and it was about two teenage boys who are struggling with cancer. One of the boys is a Christian and one is an athiest. 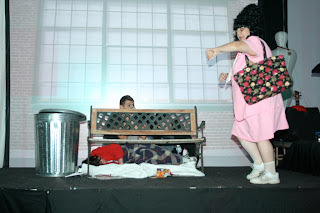 I played Mrs. Grigglesby, the older and a bit looney, support group leader for terminally ill children. 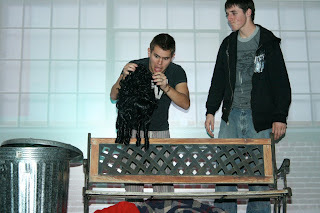 I wanted to share some of the pictures of the drama with you. 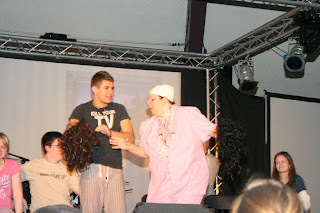 Mrs. Griggleby and the therapy group.